Dulwich Picture Gallery present their summer exhibition entitled Nevinson, Spencer, Gertler, Carrington, Bomberg: A Crisis of Brilliance, 1908-1922. The installation brings together more than seventy works by David Bomberg, Stanley Spencer, Paul Nash, Mark Gertler, Richard Nevinson and Dora Carrington, some of the most important artists to come out of the Slade School of Art during the early twentieth century. The display, curated by David Boyd Haycock, provides a fascinating insight into artistic responses into the events of the Great War. As the group's talents and stylistic preferences developed they became associated with artistic movements such as the Futurists, Vorticists and the Bloomsbury Group. Their social circles included writers and intellectuals such as Rupert Brooke, Virginia Woolf, Katherine Mansfield and D. H. Lawrence. They stood out because of their avant-garde clothes and unusual haircuts. They were promiscuous, sleeping with their models as well as with prostitutes, and their sometimes wild love affairs led to murder and suicide. When the Great War started their passions were transferred to their work as they recorded what they saw leaving behind a legacy of passionate, imaginative and innovative art. A Crisis of Brilliance brings together more than 70 original works including paintings, drawings and prints together with original letters, documents and photographs. These documents provide a fascinating insight into the lives of these artists, their relationships and their reactions to the war. The installation features many rarely seen works, such as The Void (1918), by Paul Nash (1889-1946). Loaned by the National Gallery of Canada, Ottawa, this is one of Nash's earliest oil paintings. Before this, he had worked mainly on paper. In November 1917, Nash witnessed action on the Western Front first hand, producing some of the most powerful images of World War I recording the full horrors of the war. Nash is also known as a writer, book illustrator and designer of applied art. During the Great War David Bomberg (1890-1957) served on the Western Front. His experiences of large-scale mechanized killing, together with the death of his brother and close friend the poet Isaac Rosenberg in the trenches, changed Bomberg's outlook forever. He lost whatever faith he had in the aesthetics of the machine age. The display features several paintings and drawings by Bomberg including In the Hold (1913-14). Bomberg was perhaps the most adventurous of the group of five with the result that he was expelled from the Slade School in 1913 because his tutors felt his work was too non-confirmist. Combining influences of futurism and cubism, he painted with a limited palette of muted colours, representing humans as simple, angular shapes. He was just too audacious for his tutors! Dora Carrington (Dora de Houghton Carrington 1893-1932) was closely linked to the Bloomsbury group and particularly friendly with the writer Lytton Strachey. Carrington was not well-known during her lifetime probably because she rarely exhibited and often left her work unsigned. Carrington died in 1932, taking her own life some two months after the death of Strachey, from stomach cancer in January 1932. To accompany the exhibition Scala Publishers have released a 176-page fully illustrated catalogue, written by David Boyd Haycock, Frances Spalding and Alexandra Harris. 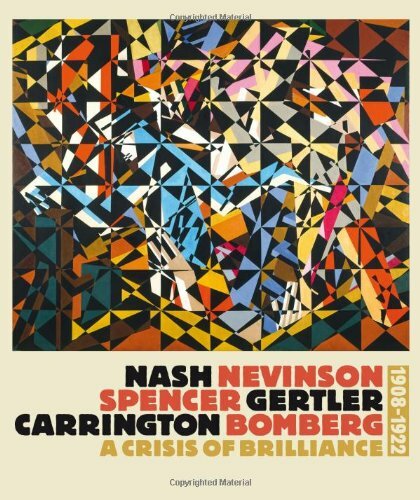 Entitled, Nash, Nevinson, Spencer, Gertler, Carrington, Bomberg: A Crisis of Brilliance, 1908-1922, the book provides a most interesting examination of the works of these six artists, their origins and how they were received at the time. Priced at £25, the book is available from all good book stores: ISBN-13: 978-1857598186. 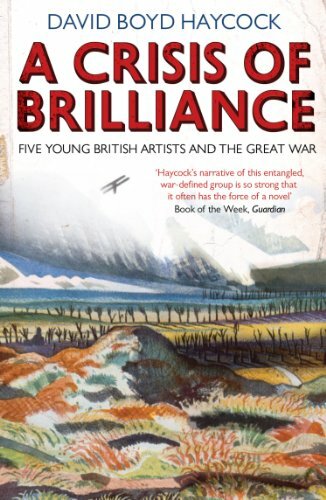 A Crisis of Brilliance can be seen at Dulwich Picture Gallery from 12th June to 22nd September 2013. The exhibition is accompanied by a comprehensive programme of interesting public events including lectures, seminars and painting workshops. Tickets and further details of these events can be found at Dulwich Picture Gallery. Thank you so much for reading and commenting. ps: I take it you're a fan of Rooibos tea - so am I - never drink any other tea. Thank you for keeping my love of art alive. There are so many wonderful exhibitions that I now can see at a glance, because of your reviews. 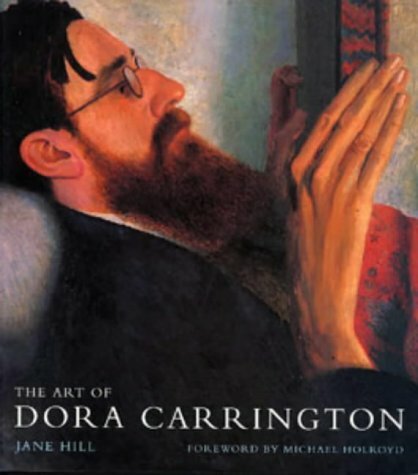 I loved your movie on Dora Carrington - so good to see the development over the years. Thank you for reading and commenting. I shall be reviewing the book that accompanies this exhibition - something I'm really looking forward to doing.